Art of Freedom. Freedom of Art. 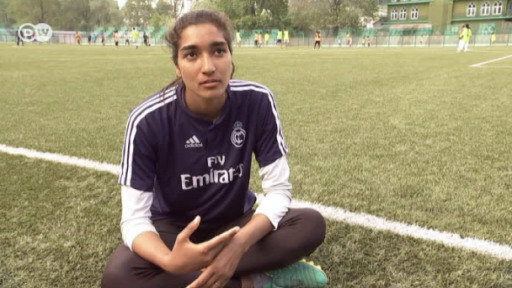 Afshan Ashique overcame numerous obstacles to become the first ever female soccer coach in Kashmir. But her struggles are by no means behind her as her dreams of an international career on India's national team are on the verge of falling apart. Dortmund forward Andriy Yarmolenko has hit the ground running since replacing the sold Ousmane Dembele and was crucial to their 2-1 win in Augsburg. The Bundesliga leaders were not at their best but got the job done. The FDP is poised to make a comeback as Angela Merkel's potential kingmaker in a three-way coalition with the Greens. Are they liberal, libertarian, both or neither? DW digs deep. Europe's most prestigious club competition has reached the knockout phase. Click here for all of the up-to-date results and standings from the UEFA Champions League.